Scott Disick's 18-Year-Old Chick He's NOT My Boyfriend!!! 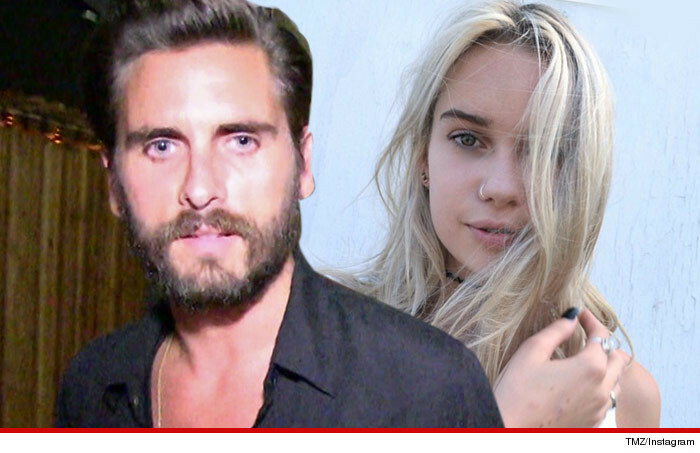 Scott Disick's 18-Year-Old Chick -- He's NOT My Boyfriend!!! Scott Disick's 18-year-old travel companion says she's NOT sleeping with or dating him ... at least that's the story she's telling her friends. Lindsay Vrckovnik insists she's never hooked up with Scott. She says she's been traveling with a group of models and met Scott in NYC, and hung out for a day. The girls wanted to move the party to Miami over the weekend, and according to what she's telling friends ... Scott happily followed. Lindsay -- who's from Canada -- has a boyfriend there and the photos that surfaced have caused a problem between the two of them. Whatever Lindsay claims ... she's having trouble convincing her BF for a few reasons. First, she and Scott didn't meet for the first time last week ... they hung out at least once before, in July, at a party in Malibu. The second problem Lindsay has ... explaining the pics where she's all nuzzly with Disick. She says the pics are "misleading."